Seven Deadly Sins: Envy | sakura, lovely. For Halloween my dear Curator tagged a group of 7 of us with the challenge of 7 deadly sins. 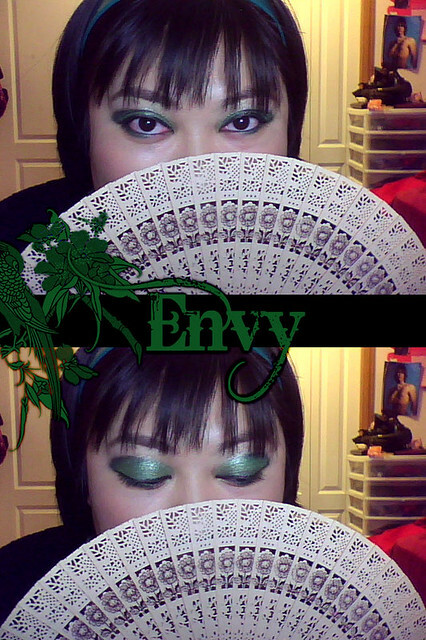 I chose Envy, wanting to play around with green. Her eyes were green with jealousy. 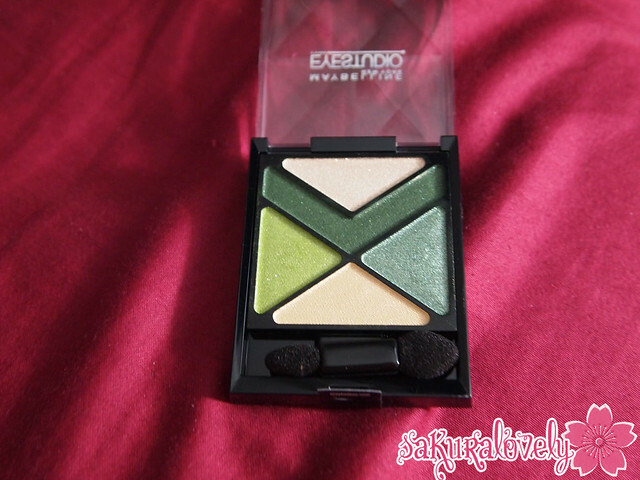 Maybelline Eye Studio 15 Forest Fury was the most eye-catching quad for me after Amethyst Ablaze, and I think has the best pigmentation for this series for me. Other than the very top eyeshadow, all the shadows have a satin finish. The top cream shade is very glittery. They applied well with a brush and have a soft, somewhat powdery texture, but I didn’t have any application or fall-out issues. 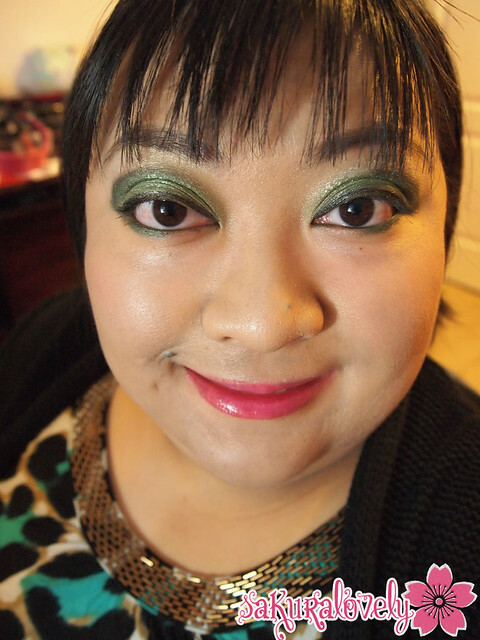 I did wear these over a green base as well as a primer but I’d say they have medium-strong pigmentation. I still don’t have a costume so 😛 I’m just going to do a bright eyelook and hand out candy in my Hello Kitty ear’d hoodie tomorrow. I’ll add the remaining 6 deadly Sins once they are all posted! 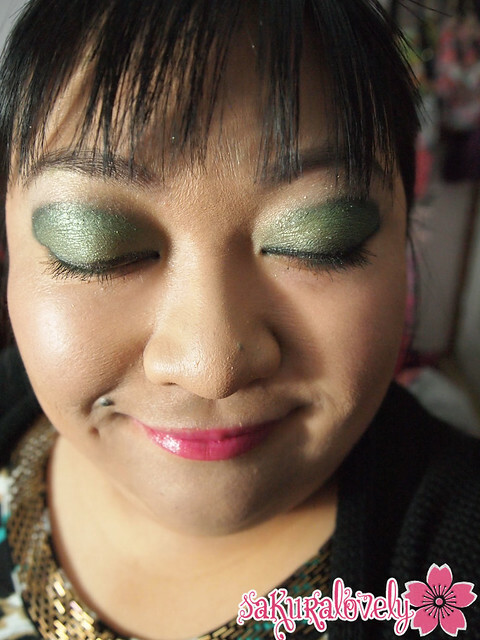 Lovely Envy look! I love the colors and it’s so perfect for the theme “Envy”. Thanks Kat! I love wearing greens so as soon as Yasumi ‘tagged’ us I staked my claim haha. Hopefully I’m not truly envious of that many other people in real life 😀 Happy Halloween! Love it! The green is perfect! i wanna see u with a green and orange combo someday! I love it!!! And that quad is super pigmented! Amazing!!! I love this look! Holy moly the palette really packs a punch with colour doesn’t it? That lippie is also an absolutely gorgeous colour! I love your look Justine. The green is so well tempered and it really stands out! I look like the freak of the bunch! Hi again it seems that my first comment hasn’t been published it was maybe too long so I guess I’ll just sum it up what I submitted and say, I really enjoy your blog.